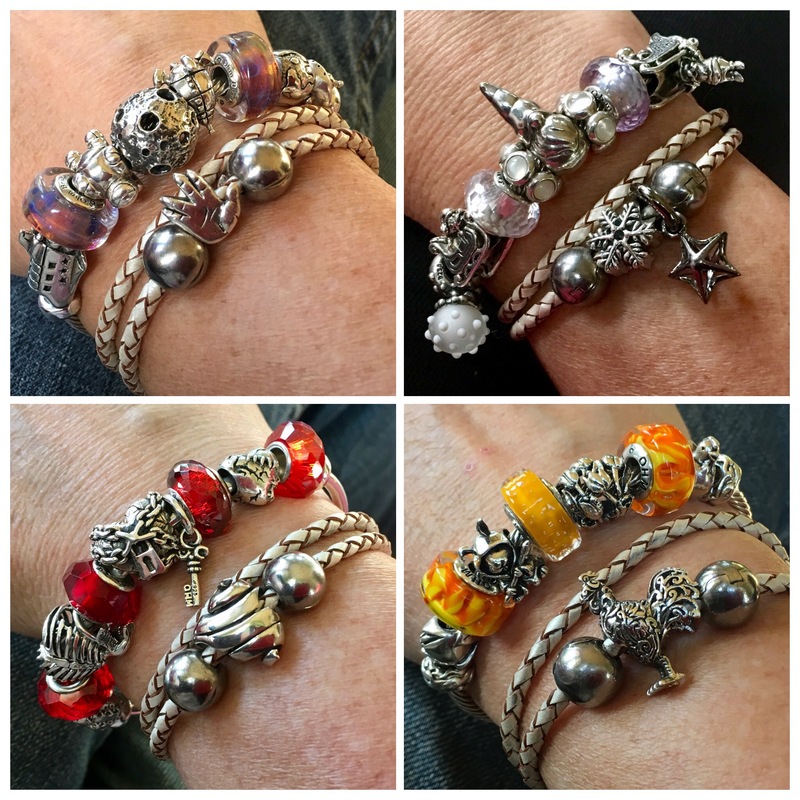 I have a few full bracelets and I only started using bangles seriously about two years ago. 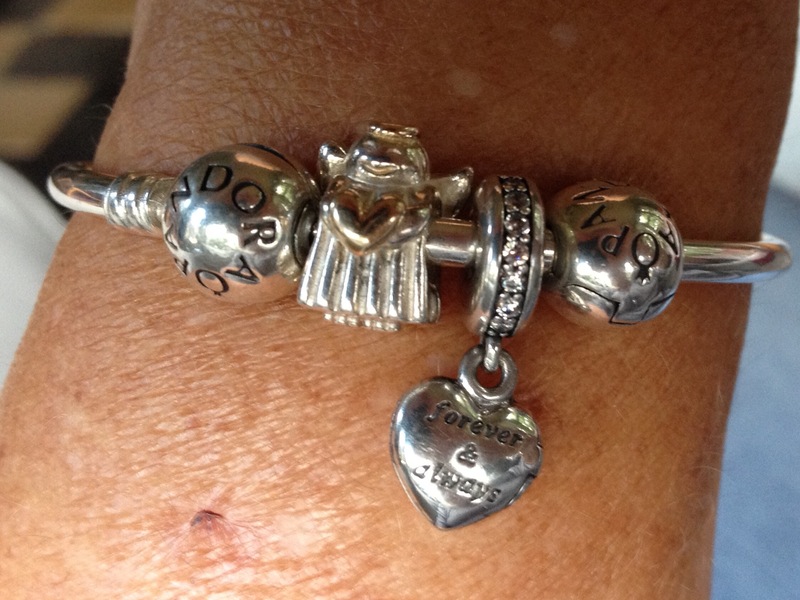 I started my bangle life with a Pandora one. 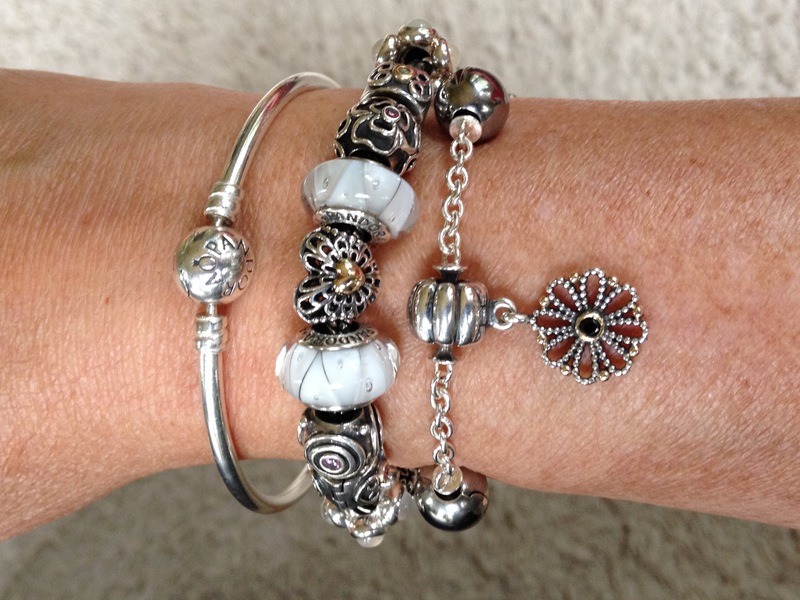 Here stacked it with a full bracelet and the Pandora five station clip bracelet. I had a hard time putting beads on the bangle, it kept twisting and not sitting nicely. Turned out it was simply too big. So bought the smaller one. Soon after came my first leather, Pandora black double leather. This was better for putting on beads. 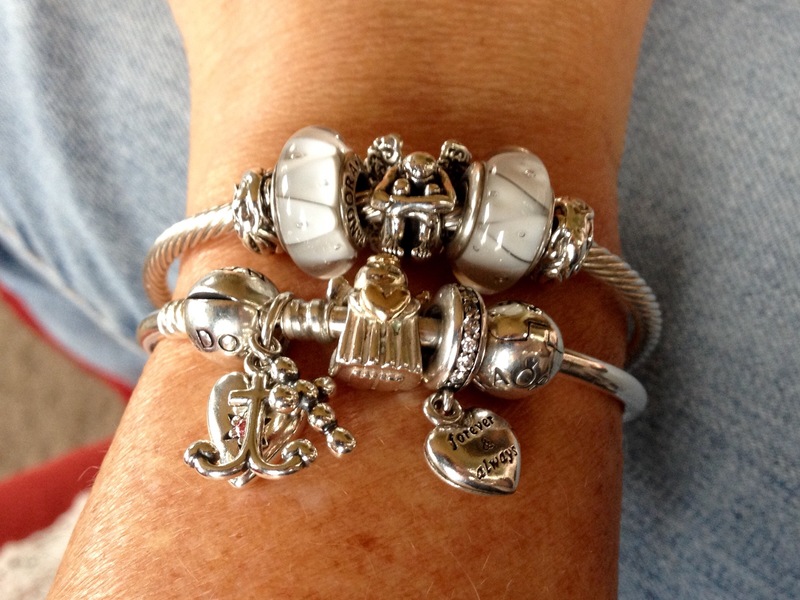 The smaller Pandora bangle is better with beads. 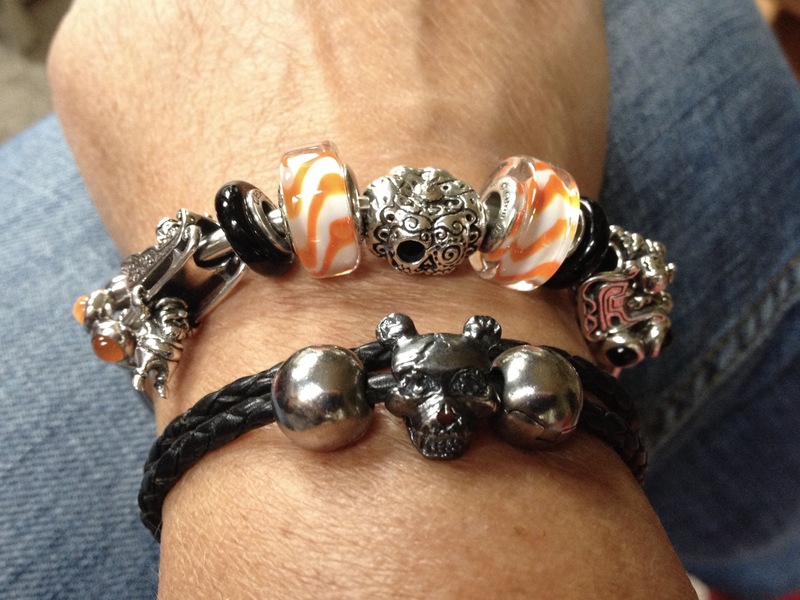 Double stack with Pandora and Ohm beads! 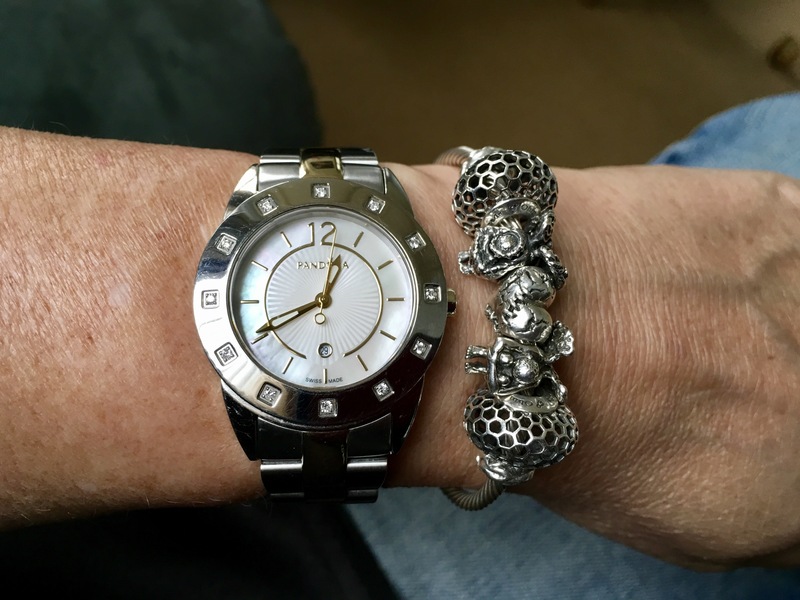 Bangles with the black and Mother of Pearl Pandora Imagine watch. I bought the white Pandora double leather. 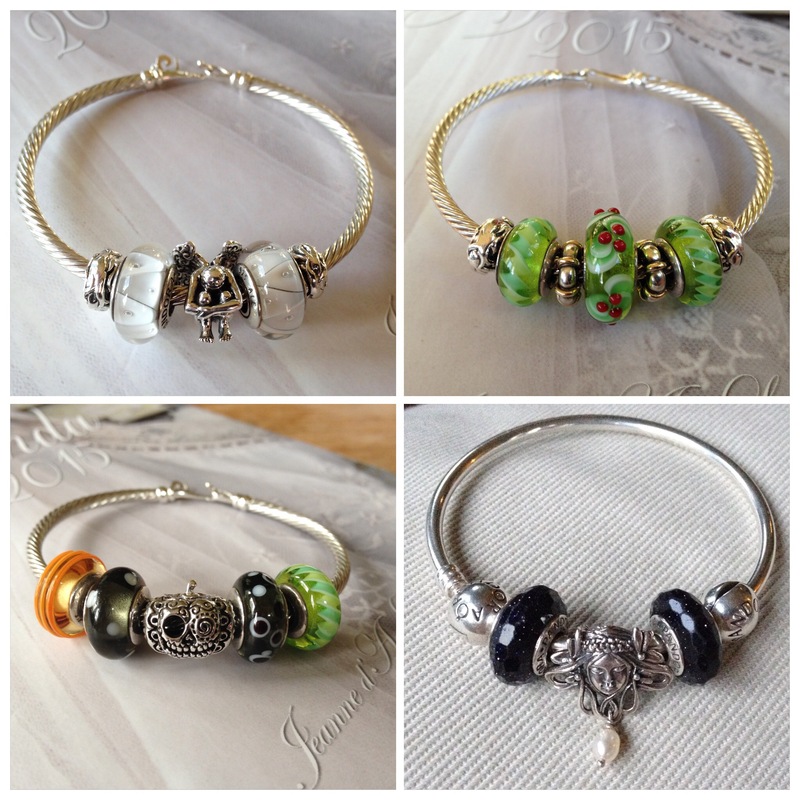 More bangle designs with Pandora, Ohm beads, Trollbeads and Redbalifrog. 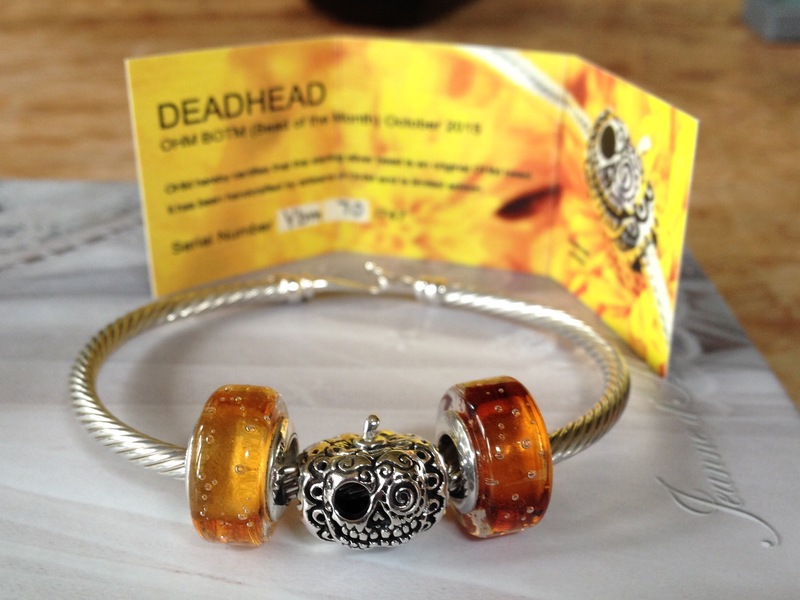 Soon a second Ohm beads twisted and a smoothe bangle were purchased. Now some serious stacking! 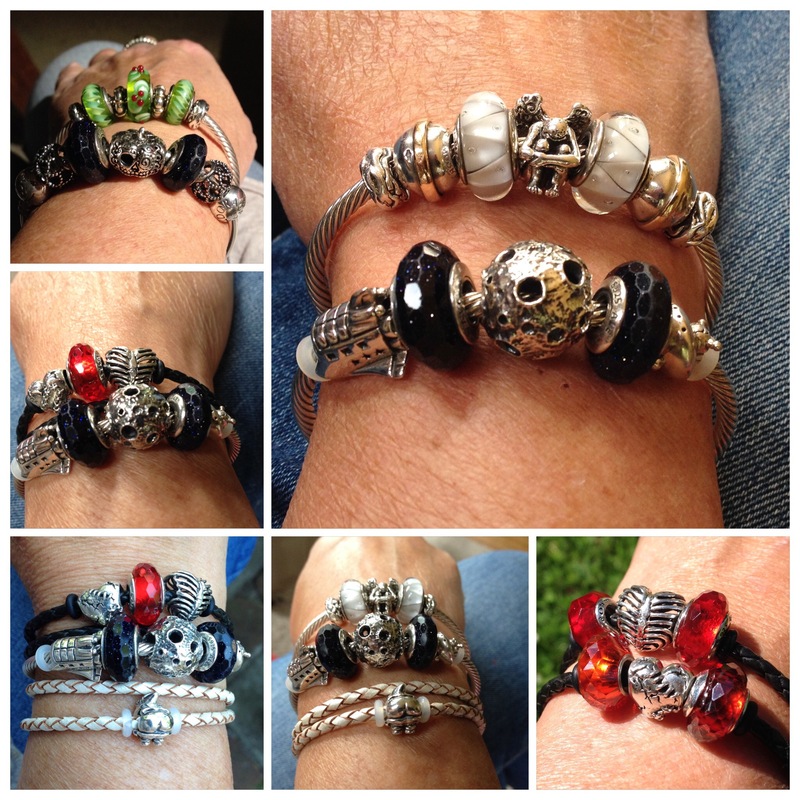 A Trollbeads bangle had to come next! 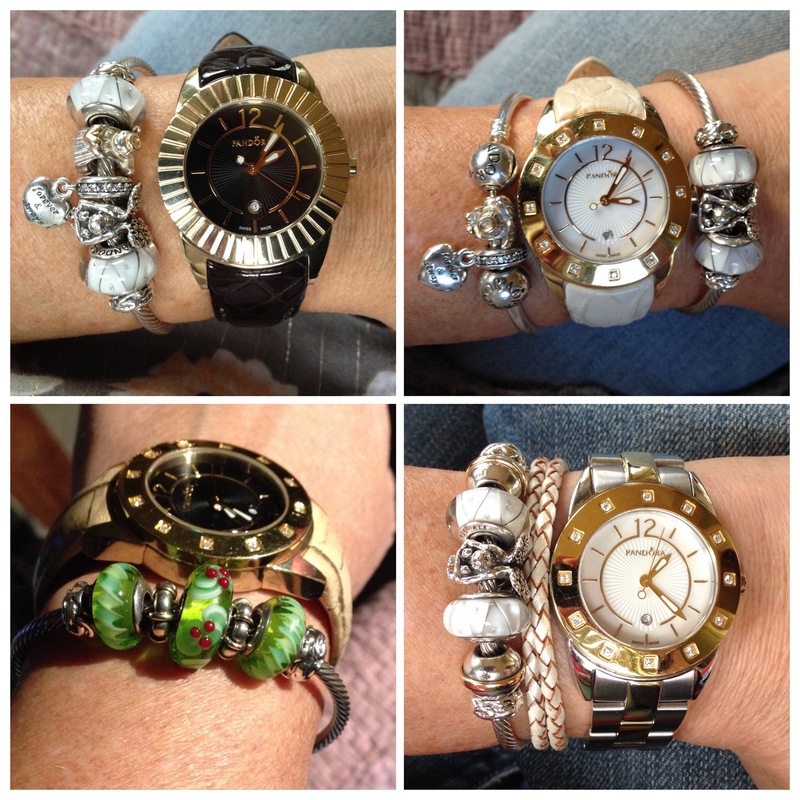 Some of my favourite stacks. 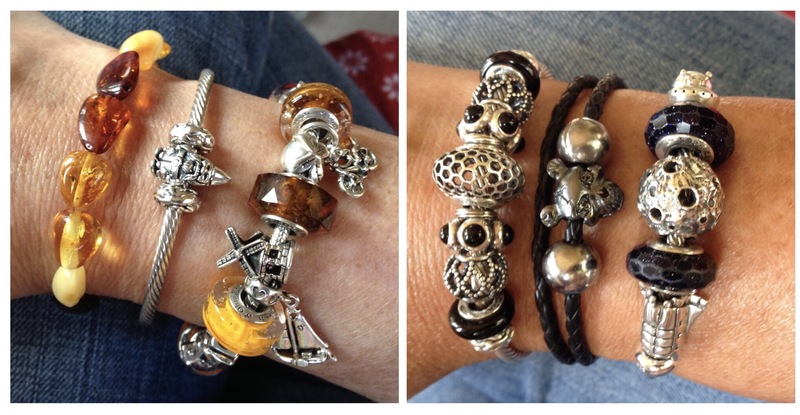 I love this design with Ohm beads Argh on the double leather, an aquarium on my wrist! And then I made this stack for Haloween. 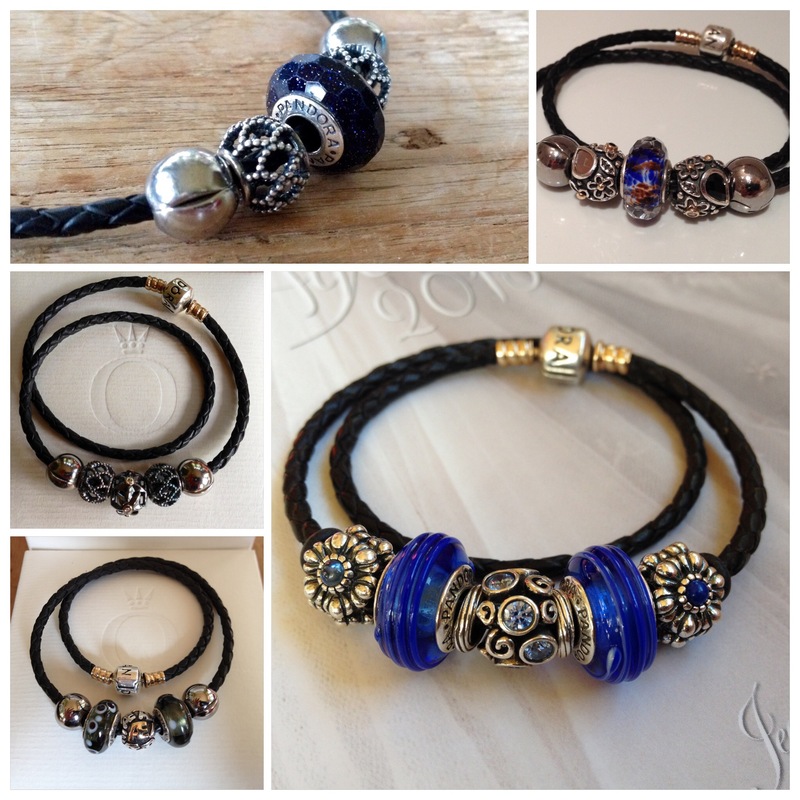 It set the tone for a new stack design: bangle with the leather with just one focal bead. Lord knows I tried to get them to play nice! It just got too bulky! This way I can add an extra bead to a theme. 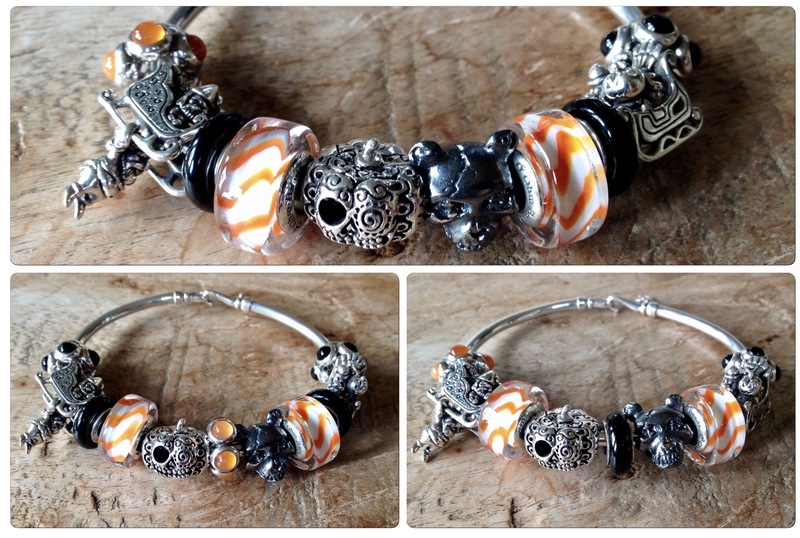 Sometimes the bead fits into the theme, but I cannot get the bead to fit onto the bangle design. And this stacking enhances the theme I think! 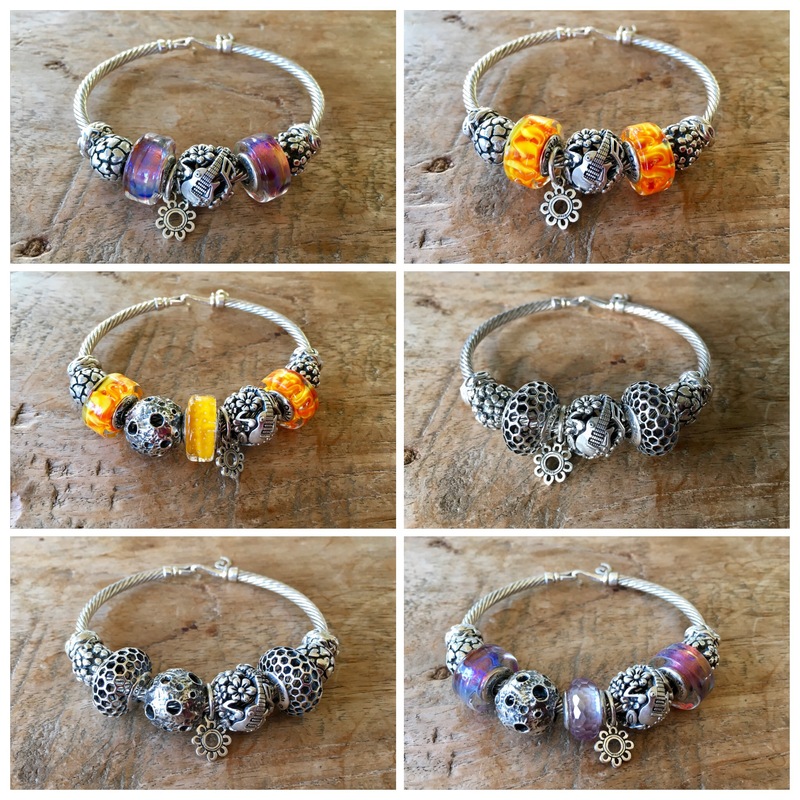 A bunch of bangles I did for my Ohm Woodstock blog article. 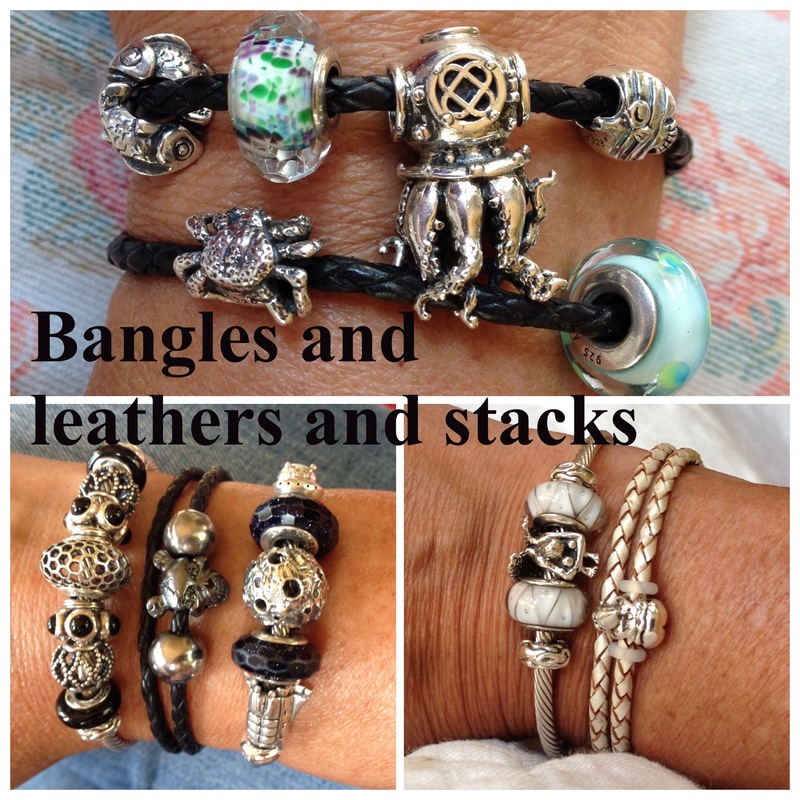 I cannot live without my bangles and leathers now! 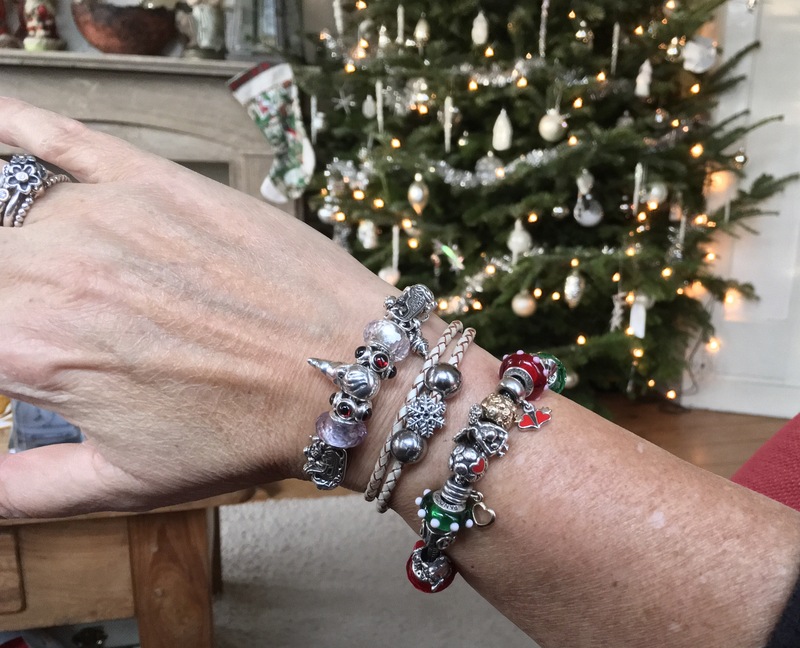 Some bangles are permanent, like the Space bangle and sometimes a bangle is absorbed by a bracelet like the Trollbeads bangle into the Ohm Woodstock Hippy bracelet. They give me an endless design opportunity and something new almost every day!